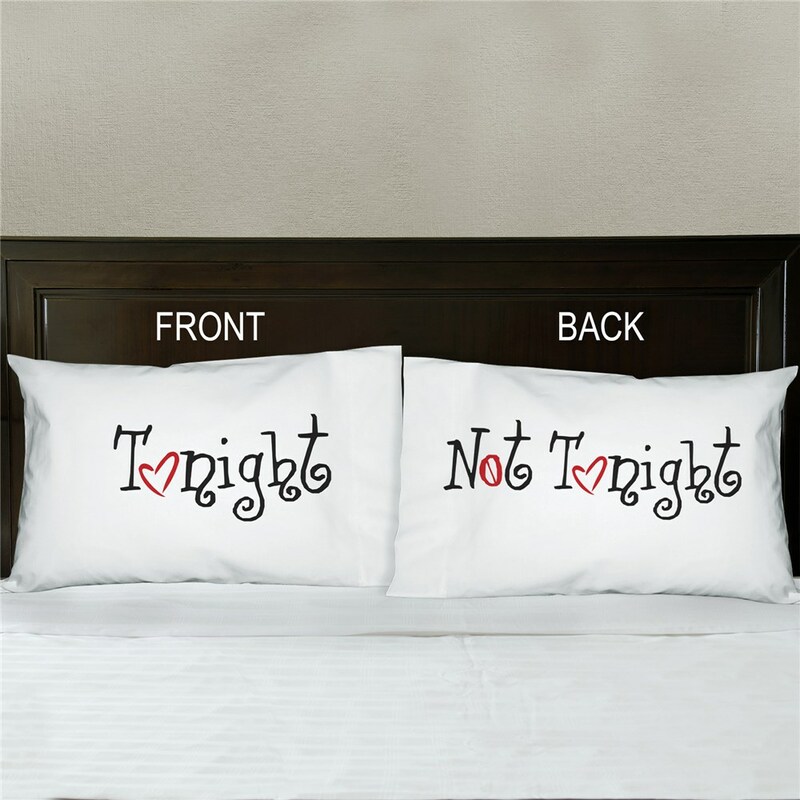 Make Valentines Day more fun with our Tonight or Not Tonight Valentine Pillow Cases. These Valentine Pillows make great Valentines, Birthday or Anniversary gift for any couple! ABSOLUTELY ADORABLE!! I got it for my husband as a gag gift for our first anniversary and he loved it! It's a cute way of letting your significant other know you're in the mood. I like it but its just not soft and comfortable. The part in the middle is ironed on ad feels stiff. Very fast shipping and very cute, I gave them as a wedding shower gift. I have used this site a lot and they have an amazing turn around time on getting you the item.